Looking to go the extra mile for your overall health? 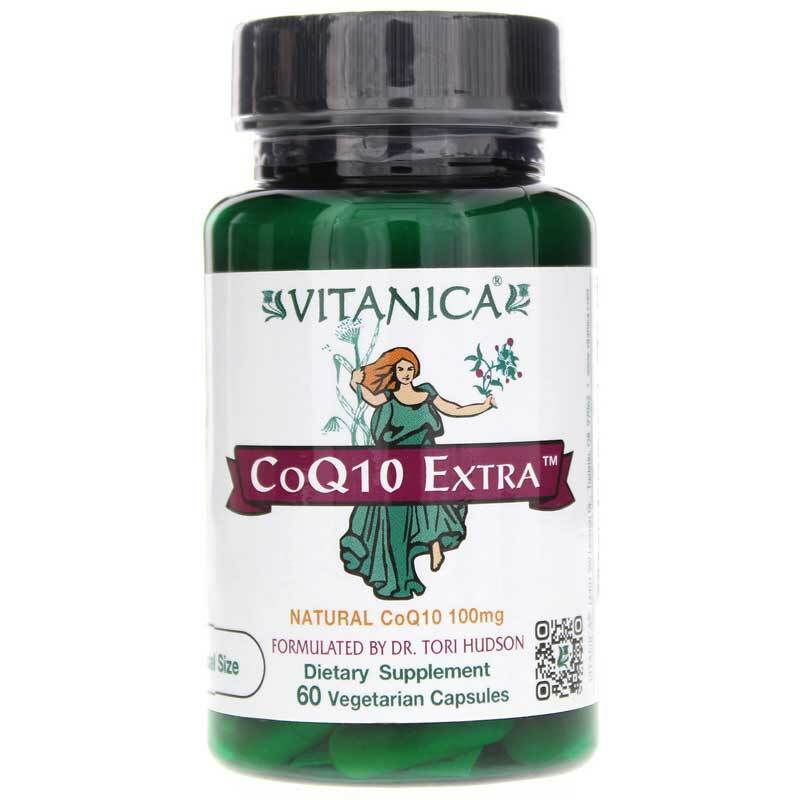 Get support for multiple body systems with CoQ10 Extra from Vitanica. 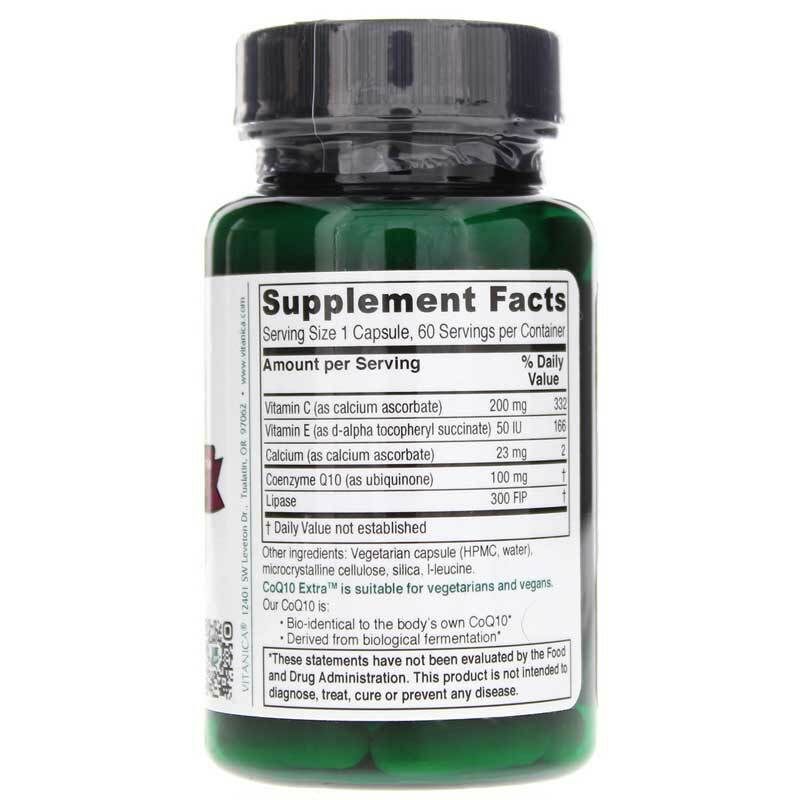 CoQ10 Extra is a CoQ10 supplement providing 100 mg of CoQ10 per dose plus antioxidant vitamins to support optimal mitochondrial function for overall wellness throughout the body. One of the most diverse nutrients, CoQ10 is an essential component of the mitochondria, the power plants of our cells. The energy produced by the mitochondria fuel many cell actions, making CoQ10 necessary for support of several systems throughout the body, including the cardiovascular, endocrine and immune systems. In addition, CoQ10 also possesses antioxidant properties. Give your body extra energy and antioxidant support. Order CoQ10 Extra today. Other Ingredients: vegetable cellulose, water, silicon dioxide and l-leucine. Contains NO: preservatives, binders, artificial colors or flavorings, sugars, starch, lactose, salt, corn, wheat, gluten, soy, milk derivatives, eggs, peanuts, tree nuts, fish or shellfish. 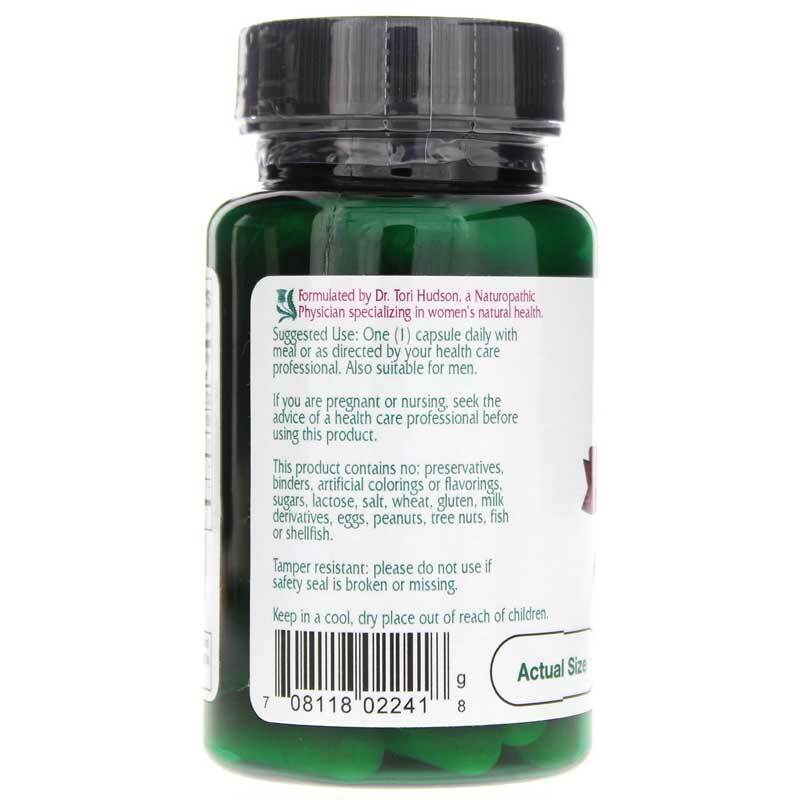 Adults: One (1) capsule daily with meal or as directed by your healthcare professional. Also suitable for men.